There are a bunch of G1 Starscreams, Hotrods, and G1 Devastator sets at the Walmart on 51st Ave and Indian School. Same at 35thAve/Southern, this store hasn't even done a proper reset yet, they're just sticking all the new stuff anywhere. The put these in the Marvel Section. Thanks. Took last starscream and left 1 devy. 3 or 4 hotrods left. Everything is spread out everywhere so maybe some I missed. 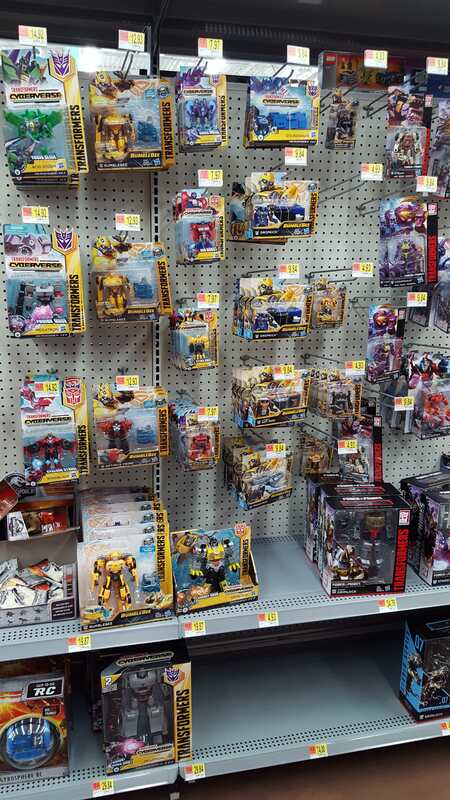 4 G1 Hot Rods at the Germann and Gilbert Walmart. Took one for myself. 2 Shadow Raiders at the Chandler Mall Target. So far, no luck for me finding the new SS VW Bee. Who's all going to the movie tonight? Was initially planning to, but I'm just not feeling up to it unfortunately. Looking around the theater, I'm seeing who all my competition is at target, located next door. I watched it at Santan Village Harkins in Gilbert! I enjoyed the sneak peek of Bumblebee the movie. I looks like a really good story!!! And after the movie they showed a music special about You've Got the Touch by Stan Bush. Ross at Priest and Elliot all of these in stock. Not exactly a Collector's Delight, but it ain't nothing! The only new thing I saw was a Deluxe class Cyberverse Shockwave at the Target on McClintock and Baseline. Also lots of Bumblebe movie figures, the new wave of Deluxe Cyberverse figures and PotP figures like Novastar. Any body looking for these? Target at 48th and ray has one of each wave 3 titan master left. Left them behind a lone Liege Maximo on the hook. Also has a few of the wave 2 voyagers and deluxes (no moonracer though) Didn't see anything else of note though. Strange question. Anyone else from the Tucson, AZ area here that's interested in the TCG? I'm looking to start or participate in some organized play, so I was curious. Hey, is anyone local to the Phoenix area(im in QC), interested in the Hot Soldier Hubcap? Im looking to get Cliffy, and can only seem to find these guys as a 2pk and really dont need the Hubcap. anyone wanna split it with me? Is studio series 18 VW Bumblebee in AZ yet?